One of the things most forgotten on the BBC Master, is the fact that it contains a battery. although it is recommended that regular alkalines are replaced every 12 months, some have still got their original cells in. This causes leaks, mostly over the plastic casing, but if too severe, can lead onto the PCB, and cause serious damage to the internals of your Beeb. The most common type of battery pack found in the Master is a sealed pack, in which the cells cannot be replaced on their own, the entire pack must be changed. Even in machines that have the 3 cell holders, if the batteries have started to leak, it is recommended to change the holder and the cable, as the alkali from the cell can corrode up the cable and onto the PCB connector. So why not just go out and buy some batteries and connect them up yourself? There is a good reason why you should not. The BBC Master PCB was designed for a rechargable battery in mind, and as such, when the machine is on, will attempt to charge any battery connected to it. For non-rechargable batteries, this is very bad, and can cause overheating, or worse. To counter this, all BBC Master battery packs, including the ones I supply here, are fitted with a diode, and current limiting resistor, to prevent back-charging. 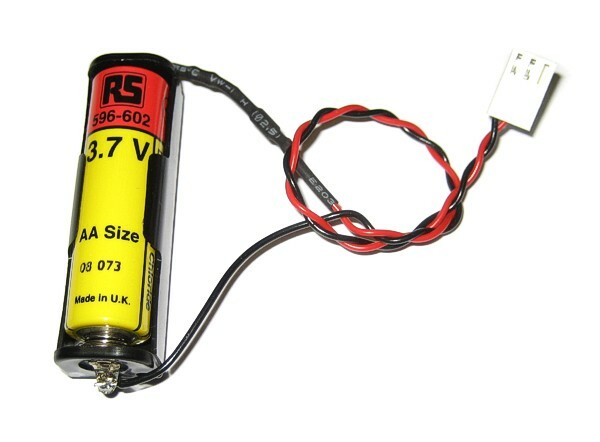 This is the budget option, and works just as well as any other, but using alkaline batteries, it is recommended that they are changed every 12 months. 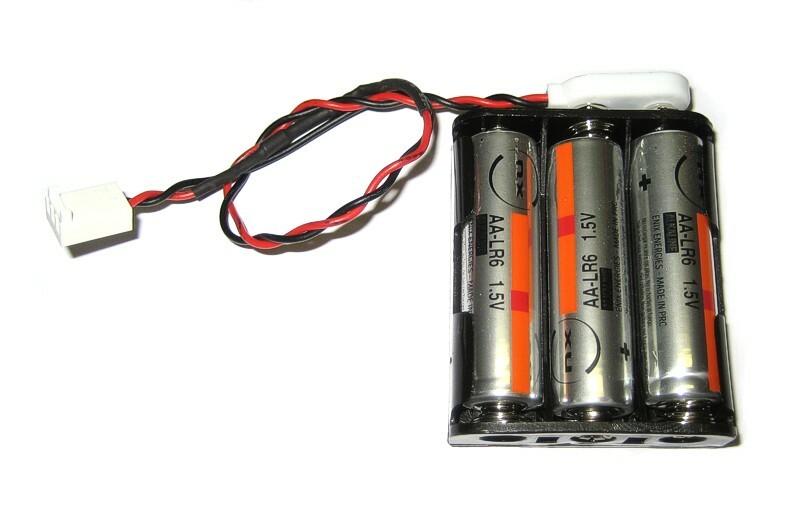 This kit is supplied with new cable, battery holder, and is now supplied with 3 Duracell ProCell Alkaline AA batteries. This preferred option used a single 3.7 volt cell, which is Lithium Thyonyl Chloride, instead of Alkaline. The LThC construction of the battery is much more suited to low drain applications, because if this, even though there is only 1 cell, it will last up to 10 years, although it is recommended that it be changed every 3 years. Supplied with a new cable, holder and special cell. Both kits come with complete fitting instructions, including how to reset your CMOS memory, and how to reset your Econet Station number, should you have an Econet system. The rear of the battery holders are fitted with strong self-adhesive padding, to fix to the inside of your case.